Allow me to say at the onset that some people are genuinely ill and need medication. I would also like to state that I’m not a mental health professional and my three science degrees have absolutely nothing to do with medicine. However, I don’t believe for a moment that the perfectly normal gal at the health club who is sorting through a rough patch in her life—her boyfriend broke up with her—needs to be on antidepressants. Antidepressants are not happy pills; they are not going to give you a better life. It’s particularly wrong when given to normal people who are suffering grief. The grief process began to slow down after a few weeks on Prozac. I found I didn’t cry as much, but I was tired all the time. Normally an energetic person, I had no drive. I went about my daily chores in a daze, devoid of any passion. Always an opinionated forceful person with strong convictions, I allowed myself to be led around and told what to do, where to move, what school my children should go to, what job I should have. I made poor choices, was taken advantage of, failed to stand up for myself. My oldest daughter soon discovered that she could do anything she wanted, and get away with it. My youngest daughter didn’t understand why I was in bed by eight o’clock every night. For over two years I took the medication. One day, through my Prozac haze, I had an epiphany. I looked in the mirror and didn’t recognize the face staring back at me. Where was the former long-distance runner? The bird watcher? The conservation activist? The involved mother? I didn’t see the woman my husband had been so proud of. I saw a spineless zombie addicted to pills. I took all the Prozac in the house and threw it in the trash. I wanted to be me again. They say you can’t suddenly go off Prozac. After a couple weeks I felt suicidal. The grief and the extreme sadness came tumbling back. It was as though I’d never worked through it at all. Grief is a way to cope with a terrible loss, and it takes time—sometimes years, decades, sometimes a lifetime. It’s not a disease that requires pills. Our society makes it difficult for people to grieve. We’re not expected to do it for long. “Isn’t it time to date? Shouldn’t you go out? It’s been a year, are you over it now? Isn’t it time to move on?” People don’t like to be constantly reminded of death. It makes them think too much about their own mortality. My friends fell away, my family found excuses not to be around me, colleagues of my husband never phoned again. I wasn’t allowed to grieve. What they didn’t understand; what it took me several more years to discover, was that when Eric died, I lost my own identity. So much of who I was depended on his support and love. I was successful because he believed in me, encouraged me, accepted me for who I was. When he died, a large part of me died too. My grief was just the other side of my love for him and a process through which I had to find myself again. Since my love for Eric will never stop, my grief never will either. Since I know I can never have him back, part of the process for me is to keep him alive in other ways: the book I’m writing, the scholarships and website I’ve set up, the charity work I perform in his memory. I will never go back on happy pills. They flat-lined my emotions and made me not care—they took the passion out of my life. But life without passion is not worth living. If you have to take pills to deaden your senses, then isn’t that death? If our passions and emotions make us who we are, define us, then who are we if pills take them away? There is a lady in my Pilates class who lamented to me that she is dating a widower who speaks of his dead wife constantly and sometimes in the present tense. She disliked it and wanted to know if I had any advice for her. My advice was simple: let him talk about her. He has to. Anyone dating him should accept the fact that there may always be three people in the relationship. Some people seem to move on to successful new relationships with ease, but I have seen others elevate their dead spouse to an almost god-like status. If they do enter into another union, it sometimes ends badly. After all, who can compete with a saint? 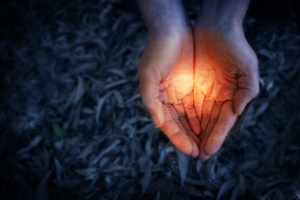 People frequently ask for my help when it comes to showing sympathy: What do I do? What should I say? What’s the correct way to act? 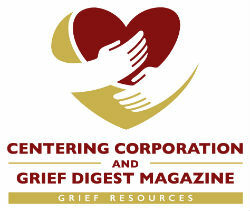 Perhaps it is most important to respect that the grief process never ends. There is no such thing as closure, just functioning a little better as time passes. Let them talk about the loved one. Listen. Don’t insist they need happy pills. There is no pill for grief. But there is love. Carol Fiore is the widow of Bombardier Experimental Test Pilot, Eric E. Fiore. She lives in Loveland, Colorado, with her two teenaged daughters, two parrots, a duck, two dogs, a bearded dragon, a guinea pig, and a corn snake. Carol has traveled and lived all over the world; she has lived in Colorado for six years. Carol has three degrees and has taught students of all ages including the university level. She studied in the rainforests of Costa Rica and on the reefs in Belize while in graduate school. Prior to coming to Colorado, Carol worked as a bird zookeeper at the Sedgwick County Zoo in Wichita, Kansas, and then in the zoo’s Education Department—teaching and doing live-animal programs. Carol is a long-distance runner, a licensed pilot, and a fan of musical theatre (especially her daughter Robin’s frequent theatre performances). She loves to write and is currently working on a book about her husband. She maintains two scholarships in her husband’s memory and does humane education volunteer work in her community.